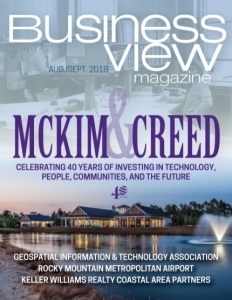 Business View Magazine interviews Ithaca Tompkins Regional Airport Manager, Mike Hall, as part of our series on best practices of regional airports. Ithaca Tompkins Regional Airport (ITH) is a public-use airport in upstate New York that supports commercial and general aviation. Located just 10 minutes from Cornell University and downtown Ithaca, the Airport is close to many destinations in the Finger Lakes, a popular leisure and recreation area. 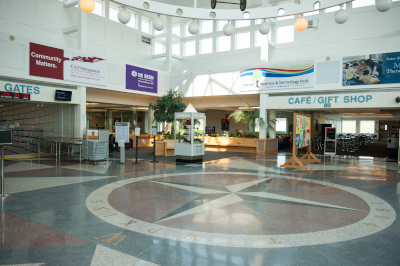 In 2017, more than 200,000 passengers were served at Ithaca Tompkins, which generates over $30 million for the local economy and nearly $456,000 in sales tax revenue. The Airport serves as a national and international link for Cornell, Ithaca College, and the area’s major employers. 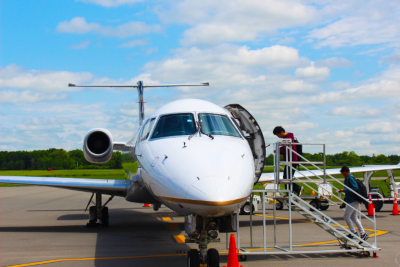 Ithaca Tompkins Regional Airport is home to three major carriers; United Airlines, American Airlines, and Delta Airlines, as well as fixed based operator, Taughannock Aviation Corporation, a charter service provider. Ithaca can boast of playing a key role in the development of the nation’s aviation industry, starting in the early 1900s, when a group of Cornell students formed an aeronautical club. The club had 80 members by 1903, when the Wright Brothers made their historic, first sustained-power flight. In 1914, the Ithaca Board of Trade invited aircraft designers, William T. and Oliver W. Thomas, to establish an aircraft manufacturing plant in the city. Formed near the conclusion of World War I, the Thomas-Morse Aircraft Corporation became best known for its Thomas-Morse Scout. One of their iconic, single-seat biplanes is being restored and will fly on September 29, and then be retired to the local history museum, says Ithaca Tompkins’ Airport Manager, Mike Hall. “It’s quite a remarkable old airplane,” he notes. Hall says that a century ago, Ithaca was the world’s leading airplane producer, as well as a leading producer of motion pictures before Hollywood’s rise. But for both industries, changing times meant changing fortunes for Ithaca. As he explains it, just as with the movie business, Ithaca lost out to an entity that would also become known, worldwide. In the years following World War II, Ithaca Tompkins Regional Airport moved to its current, hilltop location, which was an airfield that Cornell, with its Cornell Aeronautical Laboratory, constructed during the conflict. “Cornell granted the Airport to the county in the ‘50s, and, gradually, flight activity moved from the old airport down on the lake to the new airport up on the hill,” explains Hall. Ithaca Tompkins remained a small municipal airport, owned by Tompkins County, throughout the 1950s. But activity there picked up as the commercial airline industry began to flourish during the 1960s and today, there are about 100,000 enplanements, annually. Hall adds that the Ithaca Tompkins Regional Airport is self-sustaining and that all businesses on its property are aviation-related. However, Ithaca Tompkins is surrounded by property still owned by Cornell, including the university’s Cornell Business and Technology Park. That facility abuts the Airport and it is home to a variety of high-tech businesses. In fact, the future is already unfolding at Ithaca Tompkins Regional Airport, with the recent addition of new, modern seating in the 25-year-old terminal. Plans call for the terminal to be expanded by one third over the next year to accommodate burgeoning demand. The airport’s 32 general aviation hangars are full, as are a couple of big hangars that are operated by the FBO. Hall says he’s taking a hard look at adding some outsized T-hangars that are upscale in terms of size and amenities. Ithaca Tompkins Regional Airport is also home to an active flying club that flies 2,500-odd hours a year. Hall wants to see the flight academy business expand at the Airport in light of the national shortage of qualified pilots. Check out this handpicked feature on Sebring Regional Airport & Commerce Park.